Universiti Putra Malaysia (UPM), once known as Universiti Pertanian Malaysia (University of Agriculture) has evolved tremendously since its inception in 1931 as an institution dedicated to traditional agriculture. Today, UPM is acknowledged as a multidisciplinary institution of higher learning which offers a comprehensive array of high-quality undergraduate and postgraduate programmes that are recognised worldwide. The dynamic shift in its positioning is due to its high commitment in effectively strategizing innovative practices in teaching & learning, research & innovation and professional services. Presently, UPM in both its main campus in Serdang, Selangor, Peninsular Malaysia and branch campus in Bintulu, Sarawak, East Malaysia, has more than 25,000 students enrolled in its five diploma and 53 bachelor programmes, and this includes international students from over 50 countries worldwide. It offers more than 250 fields of study at master and PhD levels. The total number of permanent staff is 3370. Having been awarded the status of ‘Research University’ by the Ministry of Higher Education of Malaysia, UPM is determined to become an internationally reputable research university besides enhancing its effort and initiatives to develop agriculture-based industries as the third engine of economic growth for the nation. UPM offers five diplomas, 53 bachelor degrees and more than 250 fields of postgraduate programmes at master and PhD levels. All our programmes are offered through specific centres to effectively meet the needs of each discipline. These centres comprise 16 faculties, nine institutes, one academy and two schools. UPM offers excellent facilities to meet the diverse needs of its campus community in line with its philosophy as a premier academic institution of global stature. Within Campus There are 17 residential colleges specially designed to accommodate UPM’s students. These colleges are fully-furnished with study and computer rooms. Laundry service and other amenities are also available. UPM also offers graduate housing for married international and local students in the form of modern apartments at the Graduate Housing Complex. International students are advised to make their bookings before coming to Malaysia. Conveniently located within the campus, the Graduate Housing Complex provides students with hassle-free accessibility to campus and university facilities, thus offering opportunities for students to promote their intellectual growth within a conducive environment. Off-Campus (Private) For students seeking alternative housing, private accommodation is available around UPM’s vicinity. Recommended housing areas are Serdang Indah (4km), Taman University (6km), Taman Sri Serdang (2km), Bukit Serdang (5km), Serdang Jaya (2km), Seri Kembangan/ Serdang Baru (3km), Balakong (4km) and Sungai Besi (6km). UPM’s Sultan Abdul Samad Library is among the finest in the region with an impressive range of reading materials in diverse formats. This state-of-the-art facility provides various services and is supported by a professional team of library liaison officers. UPM’s sports complex includes first-rate facilities such as a stadium, an international-standard swimming pool, soccer and rugby fields, and basketball, tennis and badminton courts. This centre fosters a harmonious bond among students of all nationalities, effectively providing them with a platform for cultural activities. ICT Facilities UPM also has excellent ICT infrastructure to support efficient and effective teaching and learning. Cyber rest areas and outdoor wireless internet access zones are widely available. Social & Recreational Activities Various social and recreational activities are organised to encourage inter-racial integration of Malaysian and international students. The diverse social and cultural values of the students enable an interesting mix of activities that can enrich their lives. There is also a scenic jogging track for those who like pleasant nature walks or jogs and equine facilities for those keen on making it their pastime. Other Services Two local banks are available on campus to provide financial and banking convenience. An on-campus bus service is available at a nominal charge. Central parking bays are designated for both students and lecturers. Other services and amenities available include a post office, photography studios , sundry shops, restaurants, cafeterias, bookstores, photocopying outlets and childcare centers. I am a student from the Faculty of Engineering of UPM and have been here since May 2002. I chose Malaysia because of its culture like any other developed country. 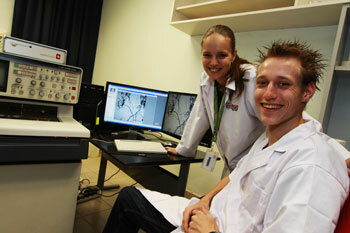 I feel very comfortable studying here where all the facilities for my research are available. UPM has a good reputation and the Yemen Government have started sending more students here. It is a golden opportunity for me to study in UPM and I hope more students would also get this opportunity. I was so impressed by the beautiful and conducive campus and its educational policy as well as the open-minded and enterprising spirit of the people. UPM lecturers and instructors are really helpful and knowledgeable. Without their warm support, I will not be able to carry on with my studies. The most important reason I chose UPM is because it provides a cultural diversity and this is crucial in Peace Studies. I like UPM very much. For three years I have been scrutinising Malaysia intently. What I have observed is that the peoples of the country are gracious, friendly and welcoming. The most remarkable thing which I have observed is the “variety of foods”. Boundless landscapes, calm beaches, tropical rainforests, stunning waterfalls and a pollution free climate are the glory of the country. I will never ever forget my visit to Langkawi “a land of 99 islands”, where I visited the Seven Wells, Kota Mahsuri, snake sanctuary, and black and white sand beaches. I also have been to many universities of Malaysia but the most striking academia, I ever found, is Universiti Putra Malaysia (UPM) due to its location and well operational laboratories with sophisticated tools. UPM organises various social and academic activities such as cultural shows, sports carnivals, and various intellectual workshops under the Putra Sarjana programme. One can simply say that UPM is the home of recreational and scholastic activities. I learned a lot and became aware of many things. I will also never forget homestays where I experienced the local culture, different customs, hospitality, and absolute affection. I am overwhelmed with affability for Malaysia and Malaysian citizens. If one wishes to study and stay here with family, he may never find such a complementary place throughout the globe. I am Dr. Samer K. Tmumen from Great Arab Libyan Jamaheria. As the President of the International Student Association of UPM, I represent the students from various countries. I am attending Ph.D programme at the Faculty of Veterinary Medicine, focusing on Clinical Study. With my experience in UPM, I can say that the institution provides good facilities for higher education. The culture of the country is Islamic and reassuringly familiar. With stable weather all year round, the green mountains and good security throughout the nation, impressive highways and network of roads, not forgetting the famous building Petronas Twin Towers, Malaysians are truly blessed. The people are gentle and helpful. I am happy to be in this country. Universiti Putra Malaysia makes an effort to provide a favorable environment which enables students to concentrate on their studies. For instance, convenient transportation, accommodation at a reasonable rate, wireless internet service on-campus, and good facilities. Furthermore, most of the professors and staff are striving to enhance the standard of the university and teacher qualifications, and are willing to lead students in the pursuit of learning. I am doing my masters degree at the Faculty of Food Science and Biotechnology. I really like the staff at the faculty. The people in Serdang are very friendly and are kind to foreigners like me. Besides, UPM has fresh and beautiful scenery with hills and lots of trees. I choose Malaysia because of the cultural similarity between Libya and Malaysia. In terms of the facilities, I’ve got everything I need to effectively complete my studies here. Definitely, I’ll recommend UPM to my friends. My name is Narumon Sumalee, Ph.D Student, Faculty of Veterinary Medicine. I come from the north-eastern part of Thailand; and upon graduating with a Master’s degree from Chiang Mai University, I worked as a lecturer at Maha Sarakham University for a short time. Then, when I planned to further my studies to the Ph.D.-level, I chose Malaysia because this country is close to Thailand and there is not much difference from my country, especially the food. At UPM, I have many good friends from many countries. I have learned and understood about their culture. At the same time we exchange our knowledge and culture. I have been discovering new knowledge and technologies that are very useful for me and can be used in the near future. It has been a golden opportunity for me to study here. I am from Bogor, Indonesia, and have been in UPM since November 2003. I chose Malaysia because of its proximity to my country with similar cultures. I enjoy my stay in UPM because of the many international students registered here and I am exposed to the different cultures. Malaysia has sprung up staggeringly and has become a more developed country in Southeast Asia. It has multicultural and multi-religious communities with strong respect for other races and cultures. Each and every Malaysian always says “Terima Kasih” and “Boleh” - it is an example of the courteous behaviour and self confidence. This country is not only famous for the Air-Asia service and Petronas Twin Towers, but also for the hospitality of the people. It has experienced a steady and strong economic progression and rapid infrastructural developments which are the main factors for promoting research in science and technology. Malaysia is a hi-tech, pleasant and safe country for international students to pursue higher study and research. In addition, the finical assistance from the government such as MIS, MTCP, etc. are encouraging. 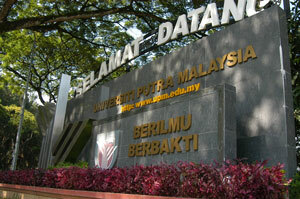 Most Malaysian university campuses are located in beautiful areas like University Putra Malaysia. In the last few years, Malaysian universities have become a hub for international students due to free thinking and well structured curriculum. Moreover, study expenses are much lower compared to other education markets like Europe, the UK, USA, Singapore, etc. My study experience in doing a PhD in UPM improved my skills, experience and awareness of modern technology. Thank you Malaysia and UPM! 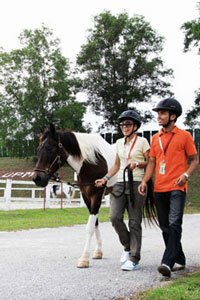 Universiti Putra Malaysia is the only university in the area that offers degree and PhD programme in Youth Studies. The PhD programme in Youth Studies offers very interesting courses and it gives a fantastic opportunity for me to improve my knowledge and skills. My experience as a student and an individual at UPM has been predominantly a positive one. Most lecturers are knowledgeable, approachable, helpful and skillful in teaching. I have also acquired various other skills in terms of ICT programmes and research methods, along with enriching my theoretical knowledge in the area of youth studies. I am Thomas Cherenet Asfaw from Ethiopia, East of Africa. I joined Universiti Putra Malaysia to attend the Ph.D programme in Veterinary Parasitology at the Faculty of Veterinary Medicine for the November 2001/2002 semester. Although I’ve been just a short time at the faculty, I am very comfortable and find that I am well taken care of as a postgraduate student in Malaysia. The Parasitology Department and library facilities provide excellent resources that I need for research. This is the first time an Ethiopian student is studying in Malaysia for a postgraduate degree. I hope the sisterly relationship between Malaysia and Ethiopia will be strengthened.